Our Wilderness Adventures are the perfect opportunity for students to de-stress, de-tech, explore, adventure and get back to basics in a stunning natural environment. 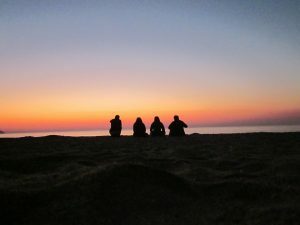 They are the perfect antidote to the stress and pressure which can build over the academic year, offering a chance to drink in the benefits of taking time out in nature before moving up to another year group, tackling exams or stepping into an entirely new phase of their educational journey. Time in the wilderness has also been shown to make a lasting positive impact on educational attainment. Read about the research that shows how spending time engaging with nature can improve a student’s motivation, self-control, self-awareness and behaviour. It is even shown to raise performance in reading, mathematics, science and social studies. Our Wilderness Adventures are all about hiking into stunning mountain ranges or lush alpine valleys, exploring hidden sites, finding out more about traditional cultures and customs, cycling on forest tracks, canoeing on wide open lakes or gently meandering rivers, wildlife spotting with the help of local guides, sleeping under the stars, cooking over open fires and possibly even catching your own dinner. We focus on countries in Scandinavia and Southern Europe which are full of history, are incredibly welcoming, are safe and importantly are packed with beautifully wild areas waiting to be explored. 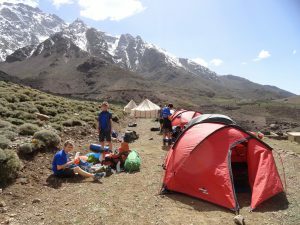 Adventures range from 10 – 14 days and include one weekend of UK based training and a final ‘Build up Day’ check before departure. The focused 2 day training helps garner excitement and manage expectations but vitally it also allows the students and teacher(s) to meet their skilled, experienced and professional Expedition Leader. If you would like to give your students the opportunity to experience the wilderness and develop lasting life skills please contact us.